Do you have an online business that uses multiple social media platforms? Are you wondering how to make certain improvements in it? Google analytics can help you to uncover valuable data and get deep insights about your audience’s behavior and their performance on your website. Understanding the power of Google Analytics is crucial for the social media marketers because today’s businesses are more involved in social media to drive traffic and increase brand awareness. Whether you have a small or a large business, it helps to gain crucial information about the activities that are performed on the site. The “Audience” section offers a lot of vital information about the visitors like their age, location, gender, interest, browsers and the mobile devices that they use on the go. These data reveal crucial information how people are driven to your website and helps to check which platforms drive the most traffic to your site. Google Analytics recently announced its new Audience reports that are specifically designed to analyze the audiences of a website. Though many website owners and digital marketers are not very much aware of this latest feature, SEO experts are considering this rollout as a quite event as it has come without any official announcement. Allowing online business owners to compare their results have helped them to target a wider market and also deliver results based on the expectations of the audiences. ‘Audiences’ in Google analytics are specific users who can be grouped together based on some combination of the attributes, which is meaningful to the business. 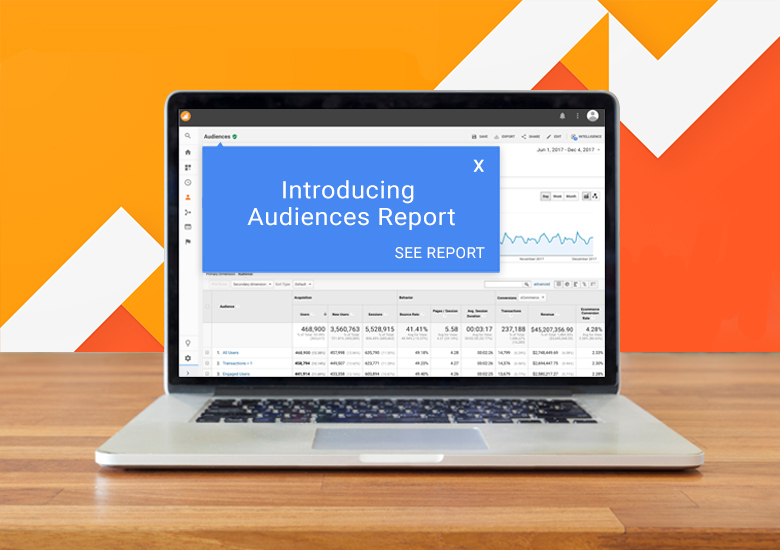 You can easily analyze your Google analytics audiences in your new report and use the dimension in segments and custom reports. With this report, you will be able to view how your visitors are performing and based on that data, you can evaluate your remarketing efforts. If you want to gather valuable data from the report, then you have to configure Audiences in your Google Analytics account. Custom audience contains the group of visitors who have met some pre-defined condition. This metrics offers you data on the volume of users an audience is sending to you and how they work in order to drive potential new business. This metric provides you with information to know how well your website engages your users based on the pages per session, time spend on the site and the bounce rates. This allows you to have an idea whether the users are completing the transactions and goals and producing revenues that is expected by you. Understanding how your audience is performing or not may help you to determine the amount of time that you should devote and even consider the budget that should be spent on that specific segment of visitors. Not only this, if your particular audience is performing well, then you can expand the number of sites shown to the users on which you bid for ads.